April 1865 was an extraordinary month in the history of the Civil War. On the 9th, Confederate General Robert E. Lee surrendered to Lieutenant General Ulysses S. Grant at Appomattox Court House, Virginia, effectively ending the war. 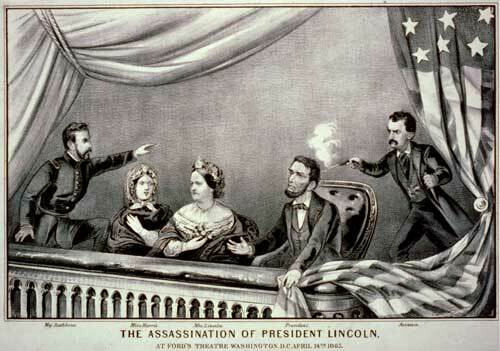 Just days later, the nation was rocked by the news that President Abraham Lincoln had been assassinated in Washington, DC. The news of Lincoln’s death reverberated around the world and led to an extraordinary publication by the Department of State in 1866. In addition to the usual diplomatic correspondence published in Foreign Relations of the United States (FRUS) volumes, a separate volume consisting entirely of condolences was published. The volume, The Assassination of Abraham Lincoln, Late President of the United States of America, and the Attempted Assassination of William H. Seward, Secretary of State, and Frederick W. Seward, Assistant Secretary, on the Evening of the 14th of April, 1865, collected correspondence from every corner of the globe. Perhaps one of the most remarkable parts of the volume comes not from the official expressions of sorrow but the messages sent spontaneously from other groups of citizens all over the globe. FRUS does not usually publish “unofficial,” non-governmental correspondence, but this volume includes a healthy selection of just that type of correspondence. A group of Freemasons in France wrote to President Johnson that they “wish[ed] to express to you their sentiments of admiration, gratitude, and regret for Lincoln, and their profound sympathy for the government of which you are the head. The blood of your martyred magistrate becomes a fecundating dew to give to liberty a new baptism throughout the entire universe.” The residents of Lahaina, in the Hawaiian Islands, passed resolutions in which they “weep together with the republic of America for the murder, the assassination of the great, the good, the liberator Abraham Lincoln, the victim of hell-born treason—himself martyred, yet live his mighty deeds, victory, peace, and the emancipation of those despised, like all of us of the colored races.” A group of workingmen in the Prussian capital of Berlin noted that Lincoln was a laborer’s son and “himself a laborer, he took up the fight for the rights of free labor and carried it to a triumphant termination.” While mourning his death, the laborers noted that “the freedom which has thus been sealed with the blood of one of the noblest men” will ultimately be victorious, and that the U.S. flag will represent “the cause of freedom and civilization” wherever it flies. This special volume of FRUS documents a remarkable outpouring of grief at the news of Lincoln’s death. Official expressions of sympathy from governments were printed side-by-side with resolutions and proclamations from groups of citizens. 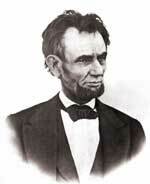 A century and a half after his time in office, Lincoln still looms large as one of our most significant presidents. The documents in this volume confirm that his stature around the world was already in place at the time of his death. What Do Those Asterisks Mean?